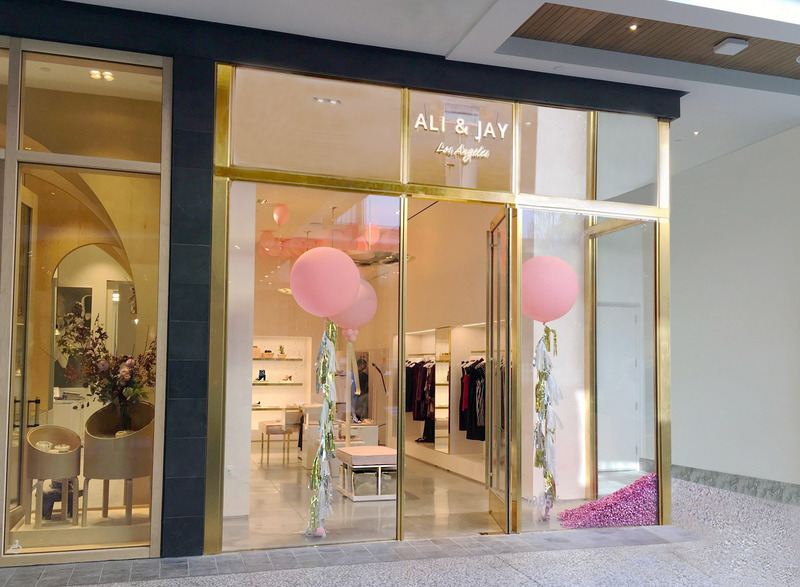 Contemporary Los Angeles based brand Ali & Jay revealed their first brick & mortar store in October of 2017. At 700 SF, the interior is ephemeral yet modern. Oversize glass windows invite customers as the products stand out against back-lit shelves. 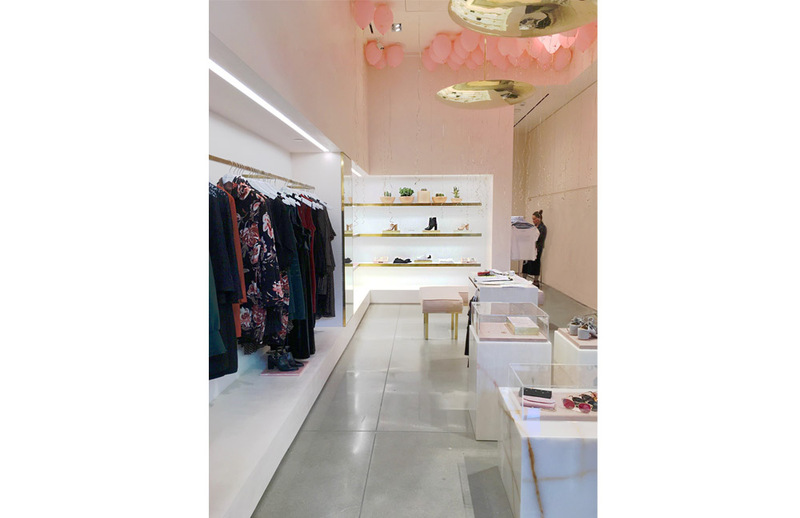 Light pink upholstered furniture with gold accents fill the space while marble blocks showcase individual items inside clear covers, adjacent to minimal gold hanging bars. 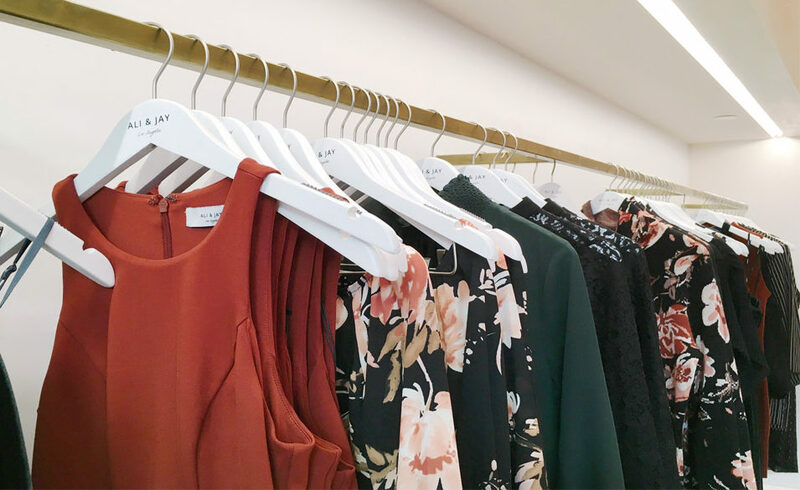 The concept is to invite the customer into a personal experience as they envision and project the brand within their home and closets.